대장 serrated adenoma는 비교적 개념이 정리되어 있지만 위 serrated adenoma는 새로운 개념입니다. 2001년 Sweden의 Carlos Rubio의 첫 보고 이후 2013년까지 20예 정도만 보고되었습니다. 아래 표의 Kwon et al의 논문이 삼성서울병원 병리과에서 발표한 것입니다. 제가 병리학자가 아니므로 정확한 특성을 설명드리기 어려워 Kwon 등의 논문에 나온 부분을 그대로 옮기겠습니다. 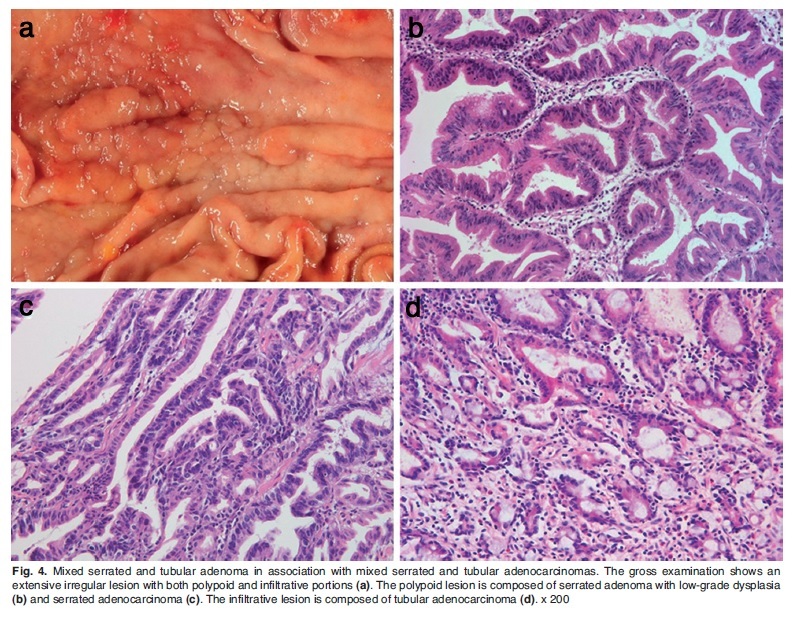 "The gastric serrated adenoma has elongated fronds with lateral crenated, saw tooth-like notches as a result of scalloped epithelial indentations. 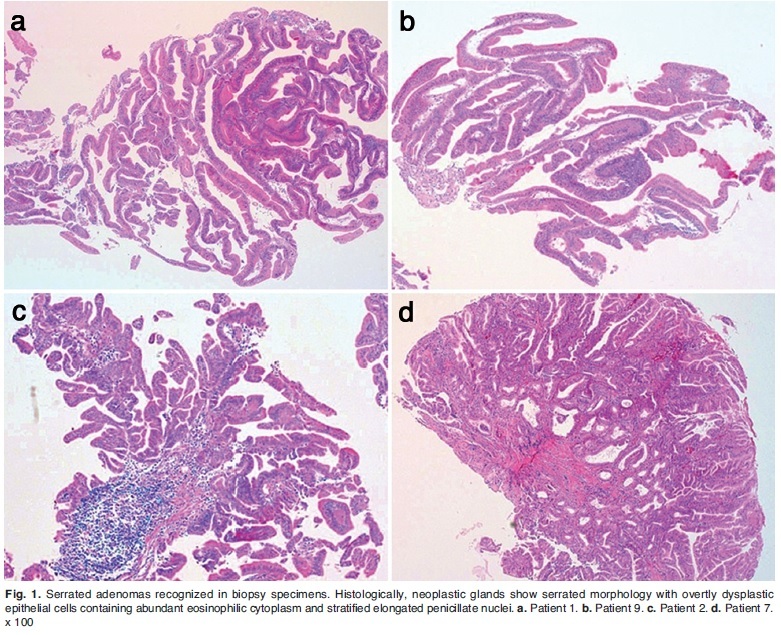 The serrated crypts are lined by overtly dysplastic epithelial cells containing abundant eosinophilic cytoplasm and stratified elongated penicillate nuclei. 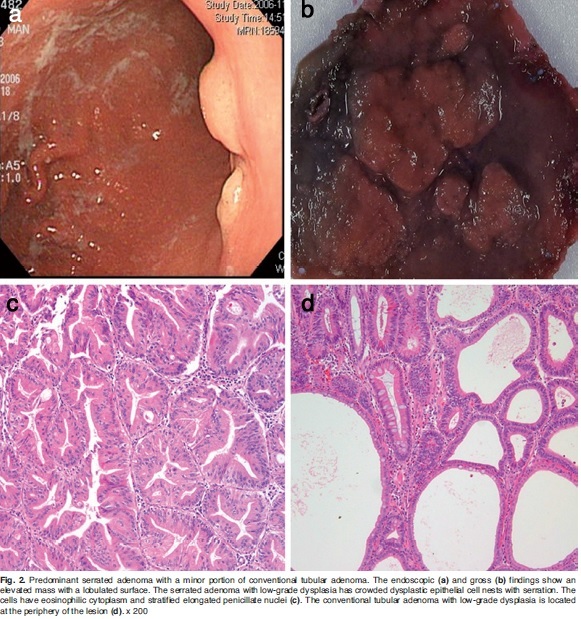 These microscopic features mimic traditional serrated adenoma found in the colorectum." 병리학적으로 톱니모양을 보이는 것이고 임상적 특성에 대한 규명은 좀 더 기다려야 할 듯합니다. 현 단계에서 우리 내시경 의사들은 그냥 "그런 병이 있구나" 정도만 알면 되는 것 같습니다. 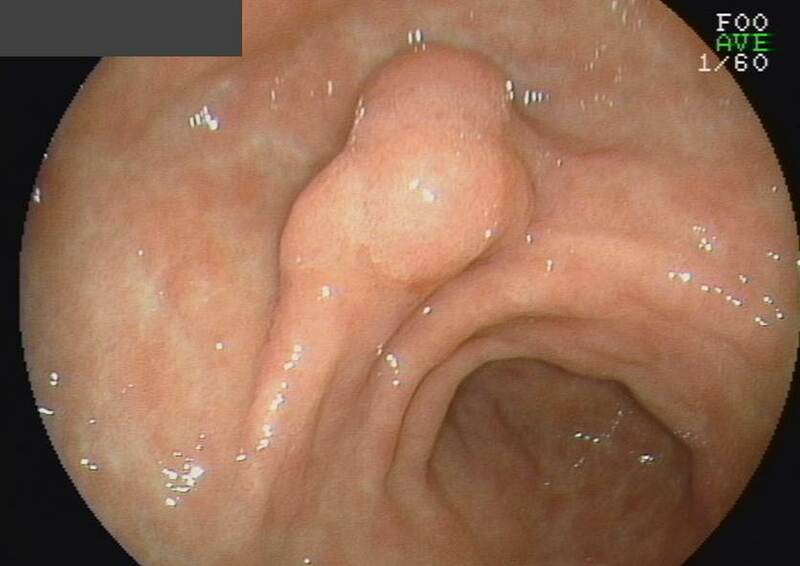 제가 처음 경험한 gastric serrated adenocarcinoma입니다. ESD로 치료했습니다.